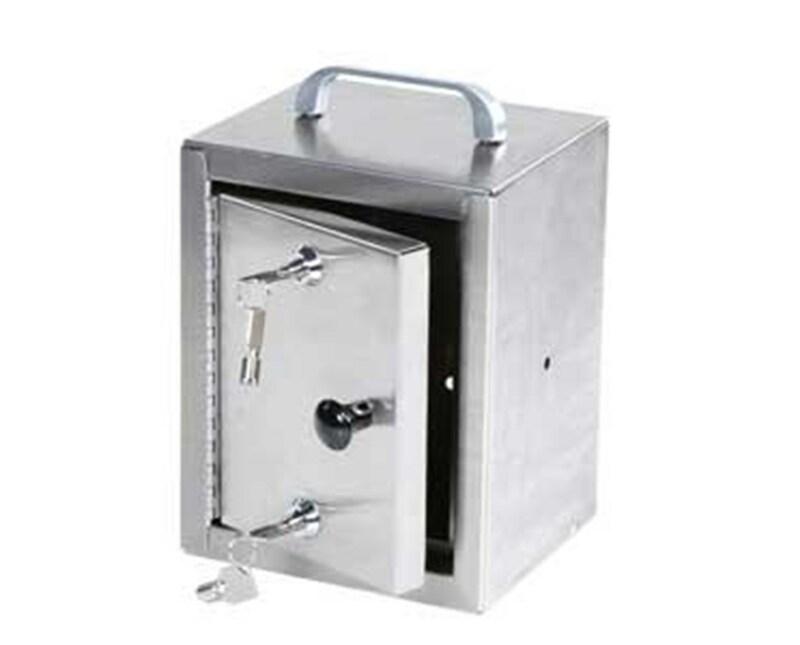 The Harloff Stainless Steel Double Lock Narcotics Cabinet is secure and durable. 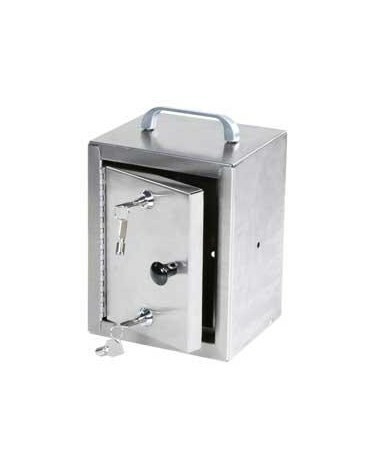 Made of all stainless steel for superior strength and rigidity, the narcotics locker will hold up to the most demanding circumstances. Harloff Narcotics Cabinet features a single door 20 gauge stainless steel construction, full length stainless steel door hinges, predrilled holes for mounting, and a hard baked powder coat finish. The double lock on the outer door are high security, pick resistant tubular lock. A multi-point locking system on both locks ensure optimal security and performance. The medium and large options are reversible cabinets which can be positioned to open to either the left or right. They also feature adjustable height shelves. 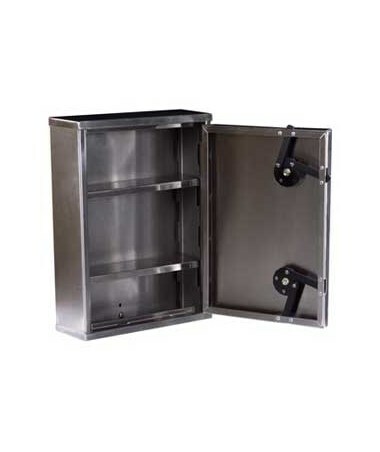 We offer Harloff Stainless Steel Double Lock Narcotic Cabinets in three sizes. Select from the drop down menu above. Top-mounted carrying handle is provided for convenient transport. Purchase this product directly online. Choose desired color and size click on drop down above and add to cart! True double locking protection with two high security pick-resistant tubular locks. Multi-point locking system on two locks. Locks are keyed separately with two keys per lock included. Unique lock sequences – all cabinets are keyed differently. Reversible Cabinet can be positioned to open to either left or right (medium and large cabinets only). Full length stainless steel pinned door hinge prevent pin removal. Adjustable height shelves (available for medium and large cabinet). Predrilled holes for mounting on a wall, cabinet or other solid surface (wood stud mounting hardware included). Narcotics cabinet is delivered ready to use. 12-year warranty against manufacturer defect. 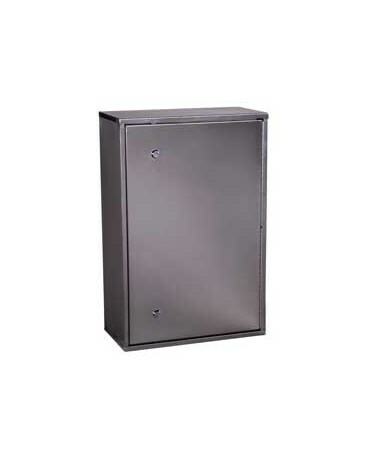 Height Choice: 10", 15" or 24"
Depth Choice: 7", 4" or 8"
Width Choice: 7", 11" or 16"
Product Weight Choice: 5, 9 or 22lbs.